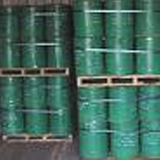 Ethyl-P-Toluene Sulfonate Suppliers, Ethyl-P-Toluene Sulfonate Manufacturers. Package: 200kg N.W per plastic-plated steel drum. Uses : Mainly used in organic syethnsis,used as ethylation reagent and intermediate of photosensitive,also the toughener of acetic cellulose.